Part of my continuing series on the governors of Illinois down the end of Reconstruction. Born on December 20, 1798 in Moravia, New York. Like so many of his generation, Wood headed west as soon as he reached adulthood. He was the original pioneer for the city of Quincy, Illinois, building the first log cabin there in 1822 and being the first inhabitant. 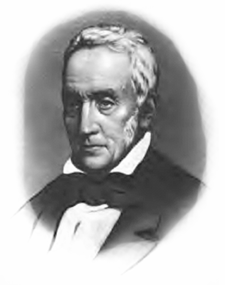 Seven times mayor of Quincy, he also served in the Illinois State Senate from 1850-54. 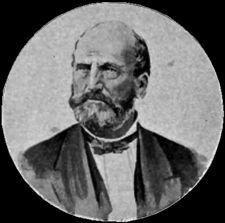 William Bissell’s running mate in 1856, he was elected the first Republican Lieutenant Governor of Illinois. 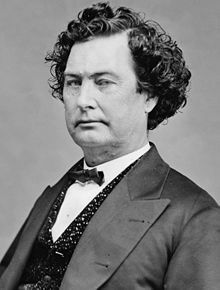 Continuing on with our series on the governors of Illinois down to the end of Reconstruction, we come to the eighth governor of Illinois, Thomas Ford. Ford was born on December 5, 1800 in Uniontown Pennsylvania. His father dying, Ford’s mother settled with Ford and his siblings in 1804 in Illinois. 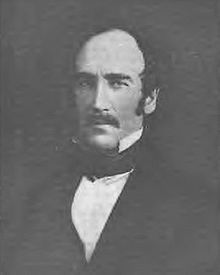 His older half brother was George Forquer who was born in 1794 and who eventually became a state senator and attorney general of Illinois before dying in 1837. He assisted Thomas as a young lawyer and then judge. Ford became a lawyer, eventually, after service in the Black Hawk War, serving as the states attorney in Western Illinois. He was elected a state court judge in Northern Illinois in 1836. He then served as a municipal judge in Chicago before becoming a state court judge again. He became an associate Justice of the Illinois Supreme Court from 1841-42. Ford had always been interested in politics and in 1842 he was elected Governor as a Democrat. Ford in office strove to repair the damage done to the finances of the State by the Internal Improvements Act which had effectively bankrupted Illinois. Ford’s actions improved the fiscal situation for Illinois, although the debt from the Act would not be paid completely until 1882. Continuing our review of the governors of Illinois down to the end of Reconstruction, we have come to the sixth governor, Joseph Duncan. Born on January 22, 1794 in Paris, Kentucky, he enlisted in the Army at the outset of the War of 1812. He served with the 17th Infantry throughout the War, being mustered out as a Lieutenant. He settled in Illinois in 1818, the same year that Illinois was admitted into the Union. Continuing on with my series on the Governors of Illinois down to the end of Reconstruction, we come to the fourth Governor of the State, John Reynolds. Born in Montgomery County Pennsylvania on February 26, 1788, his family moved to Kaskaskia in the Illinois territory in 1800. From his family upbring Reynolds abstained from alcohol all of his life which made him something of a novelty among Illinois politicians. He attended college for two years in Knoxville, Tennessee, and embarked upon the study of law but ill health forced him to return home. He was admitted to the bar of the Illinois territory in the fall of 1812. He enlisted in the Army as a private and served as a scout in battles against Indians during the War of 1812, rising to the rank of sergeant. In Illinois politics his nickname as a result of this service was the “Old Ranger”. Returning from the war, he opened a law office in Cahokia. In 1818 he was appointed to the Illinois Supreme Court by the Illinois General Assembly. He was an unsuccessful candidate for the United States Senate that same year. In 1826 he was elected to the Illinois House, quickly establishing himself as one of the foremost members in the State of Andrew Jackson’s newly formed Democrat party. In the House he earned a reputation as not being a fierce partisan and a man who could work with members of all parties. In 1830 he was elected Governor of the state. He was a soldier Governor. His term was dominated by the Black Hawk War, and he often personally assumed command in the field of the Illinois militia, including a then little known Abraham Lincoln. President Jackson appointed him a Major General and authorized him to make treaties with the Indians. 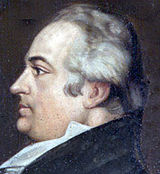 Reynolds resigned as Governor on November 17, 1834 to take a seat in Congress. Reynolds would continue to have an active political career for the remainder of his life, serving in both Congress and the Illinois House. He died on May 8, 1865. 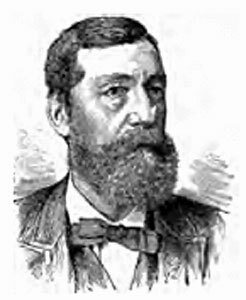 Continuing with my series on the Governors of Illinois down to the end of Reconstruction, we come to Ninian Edwards, the third governor of Illinois. Edwards was the most powerful politician in the State during his lifetime. Born on March 17, 1775 in Montgomery County Maryland. He rose to success in the new State of Tennessee, becoming Chief Justice of the State before he was 32. After the Territory of Illinois was organized, Edwards was appointed by President Madison in 1809 to be Territorial Governor, a post he would occupy until 1818 when Illinois was admitted to the Union. Edwards was immediately chosen by the Illinois Legislature to be a United States Senator. He gave his full support to Governor Coles’ successful struggle in 1824 to keep Illinois a free state. In 1824 he resigned from the Senate after President Monroe appointed him to be Minister to Mexico. He never took up the post however because of allegations of corruption made against him by Secretary of the Treasury William H. Crawford. To clear his name before the citizens of Illinois, Edwards ran for Governor and was elected in 1826. During his term the Winnebago War was fought. Relations with the Indians in Illinois and disputes over treaties dominated his term in office. His popularity waning Edwards did not attempt to seek a second term. In his last year in office Abraham Lincoln settled in Illinois. 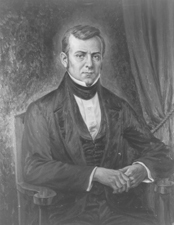 Edwards ran for Congress in 1832, and for the only time in his political career was defeated. He died of cholera on July 20,1833. His son Ninian W. Edwards became a political associate and close friend of Abraham Lincoln.